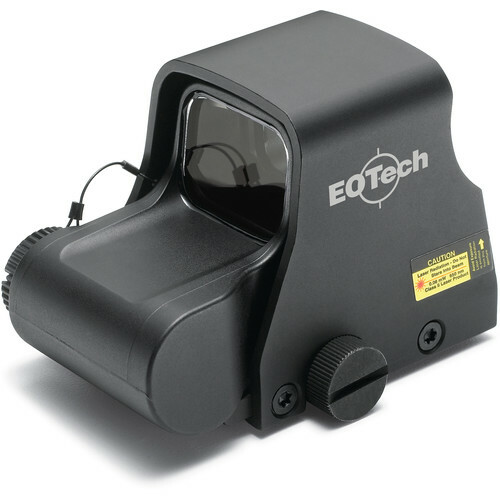 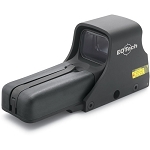 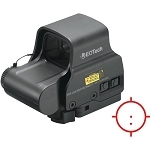 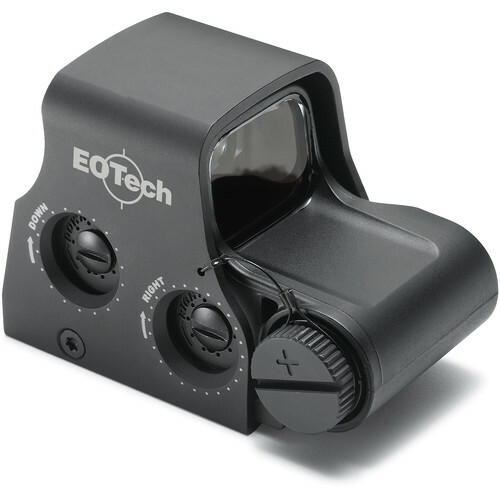 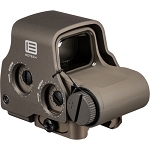 The EOTech Model XPS2 Holographic Weapon Sight is built to conserve valuable rail space while enabling rapid both-eyes-open sighting and tracking in a variety of conditions. 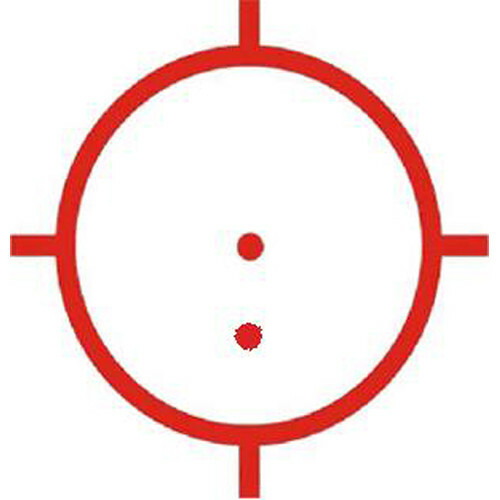 This model's reticle (with red laser illumination) features a 68 MOA outer ring with quadrant stadia, and a 1 MOA center aiming dot for use out to 200 yards, and a second 1 MOA aiming dot below it for easy holdover at 500 yards. 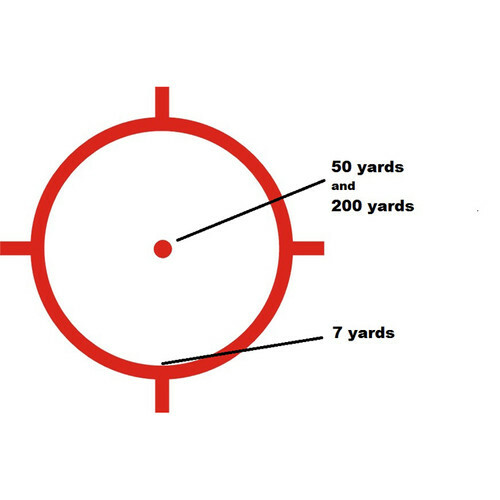 To get users on target faster, impact point correction is made at 0.5 MOA per click with a total windage and elevation adjustment range of 40 MOA to compensate for most terrain and conditions. 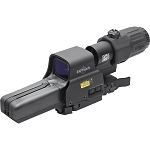 Measuring just 3.8" and weighing a mere 9 oz the XPS2 has an integrated Picatinny/Weaver rail mount, is submersible to 10', and is internally fog-resistant. 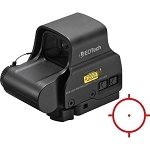 It runs on a single CR123 battery with a continuous runtime of about 600 hours at a medium setting, with 20 selectable intensity levels for use in most lighting conditions. 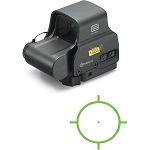 Box Dimensions (LxWxH) 7.323 x 6.693 x 3.622"